W 1881. BEAUTIFULLY ENGRAVED TOOTH that is mounted on its original, round teakwood base. Engraved one side with a quality depiction of a stern view of the port side of a British naval ship. Many parts of the vessel done in bold, intaglio style of engraving. Tooth size is 6" h x 2 1/4" w. Condition fine. Desirable age color throughout. Circa 1840. 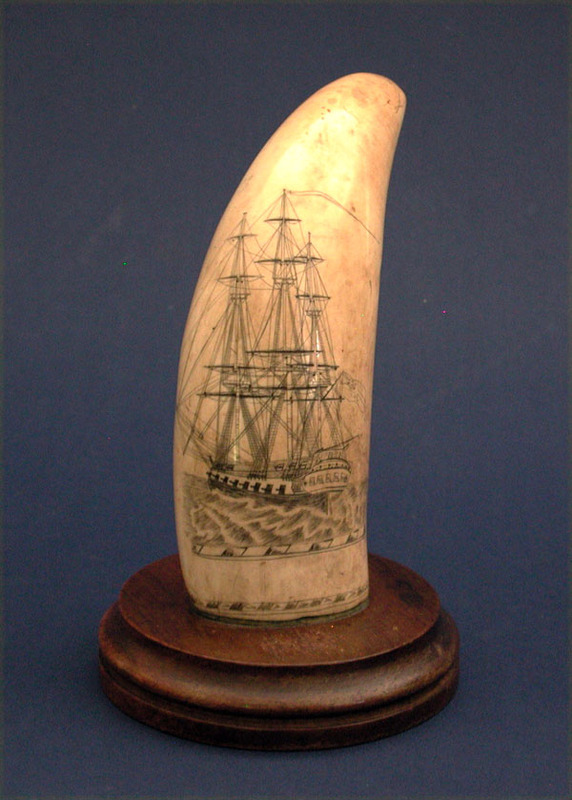 A very attractive and well executed scrimshaw tooth.